What makes a work of literature good or bad? How freely can the reader interpret it? Could a nursery rhyme like Baa Baa Black Sheep be full of concealed loathing, resentment, and aggression? In this accessible, delightfully entertaining book, Terry Eagleton addresses these intriguing questions and a host of others. 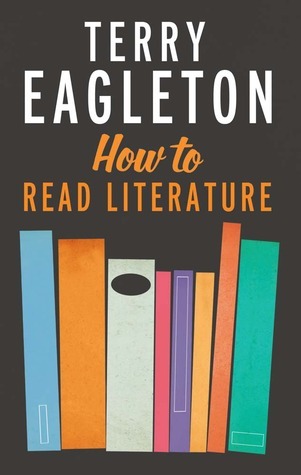 How to Read Literature is the book of choice for students new to the study of literature and for all other readers interested in deepening their understanding and enriching their reading experience. How to Read Literature was a fun and delightful read that helped me pass a couple of entertaining hours one evening. The book manages to be both informative and satirical at the same time; a cross between a serious piece of writing and light-hearted fun. Eagleton's analysis of 'Baa Baa Black Sheep' had me laughing so hard my husband came in to check on me. I then tried to read it out to him but he couldn't understand a word I was saying amidst my chocking laughter and streaming eyes. This is a great read for both students of literature and those keen readers looking for a fun text about their hobby.